Welcome back, battle brothers. 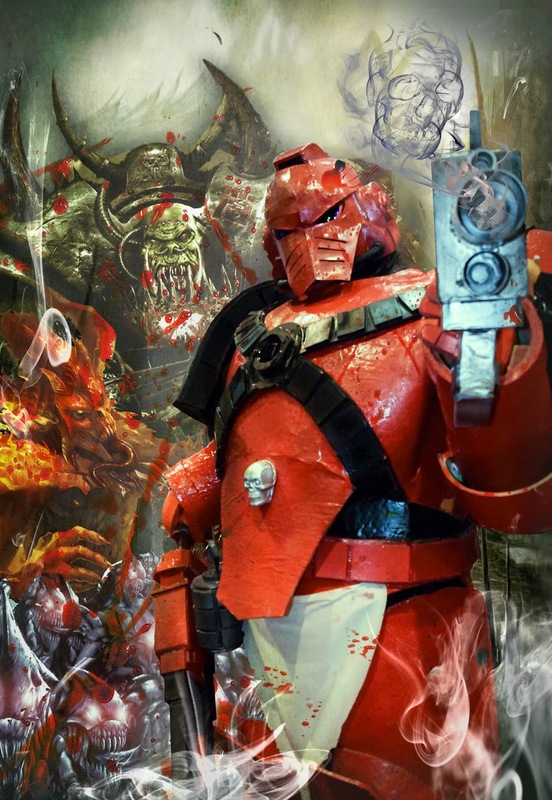 During Animangaki 2014, I had cosplayed as a Blood Angel Space Marine. 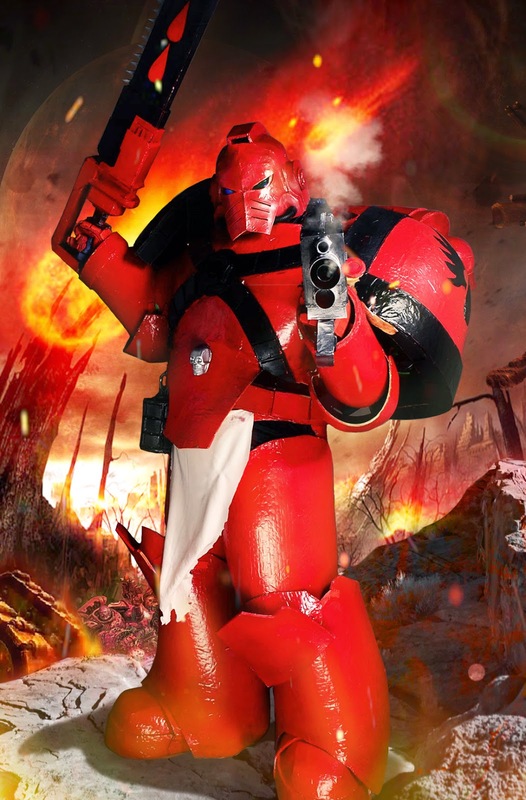 I've improvised from the previous version of Blood Raven Space Marine cosplay, and changed it to Mark IV 'Maximus' armour equipped with a chainsword and standard bolt pistol. The suit had also given a new, fresh paint job, with added blings here and there. The suit feels a little heavier compared to the previous version, due to the new layer of paint, and I had experienced a great amount of pain on my shoulder from wearing it during the event. Yet the pain is nothing when compared to the glory of wearing such mighty and awe looking suit. 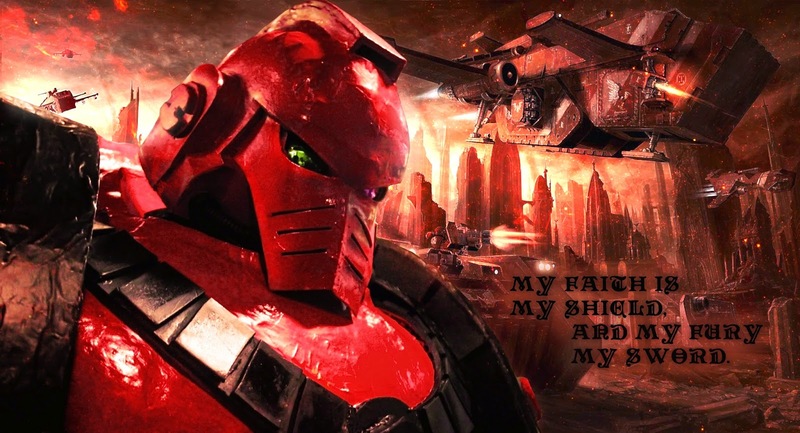 "Pain is the illusion of the mind brothers, and we Space Marine embrace the pain, and inflict it on our hated enemies." 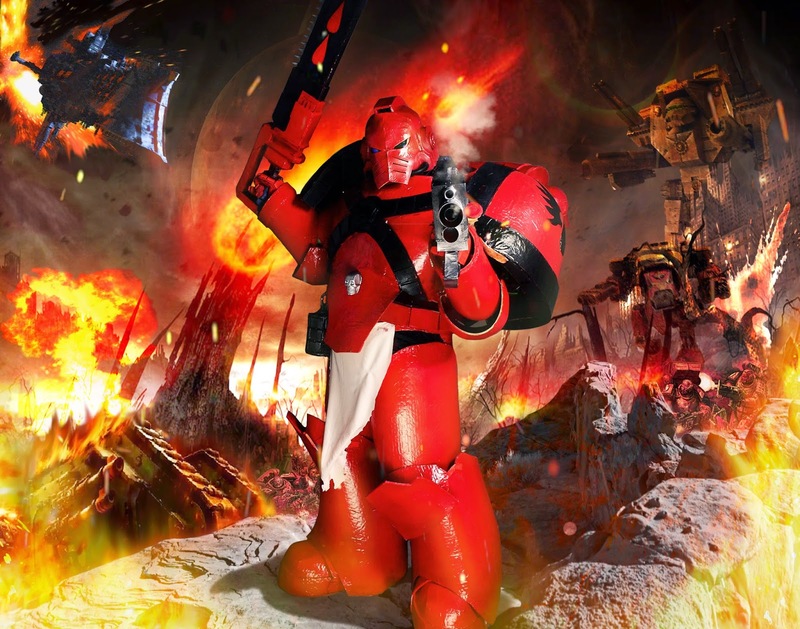 "In such dire circumstances, lesser warriors could perhaps have ceded all hope, yet these were Space Marines of the Blood Angels Chapter, the sons of honoured Sanguinius. Their forebears have fought beside the Emperor in the very blackest of days, and that memory was not theirs to dishonour". "The bonds of blood transcend all others.But no blood runs stronger than that of SanguiniusOnly when your hearts have beat to the same pulse of clashing weapons as your enemy’s, only when his blood anoints you, and only you glimpse the blackness waiting for us all in his eyes – only then have you known battle." "They still fear me. Even outnumbered and armed only with a shattered weapon, they still fear me. I can smell it in their sweat, hear it in their voices, and see it it their wide eyes that reflect the flames." "For eleven hundred years, I have fought and I have seen the darkness in our galaxy. I have seen the vileness of the alien and the heresy of the mutant. 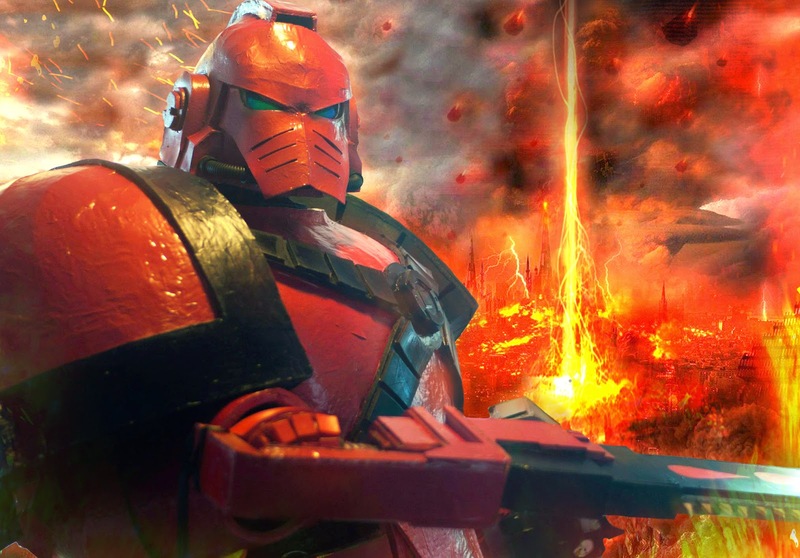 I have seen all the evil that the galaxy harbours, and I have slain all whose presence defiles the Emperor. I have seen what you will see. I have fought what you must fight, and I have slain what you must slay... so fear not and be proud, for we are the sons of Sanguinius, the protectors of Mankind. " 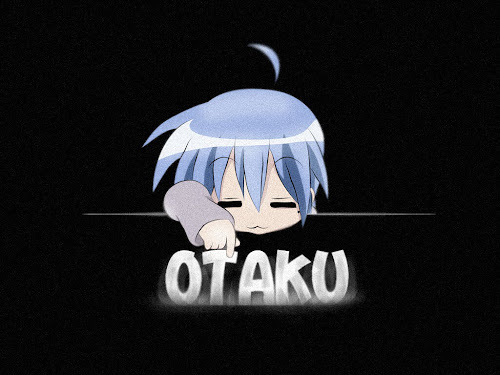 "Aye, we are indeed the Angels of Death."